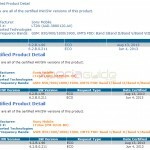 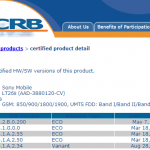 First the leaked screenshot of Xperia S, SL and Acro S Jelly Bean 6.2.B.1.96 firmware and then PTCRB officially certified the 6.2.B.1.96 firmware, now Sony has officially confirmed a update is coming. 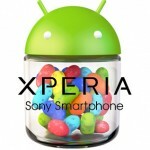 Sony Xperia News has officially tweeted that a new android 4.1.2 jelly bean update is coming for Xperia S, SL and Acro S which will bring a major update over previous jelly bean 6.2.B.0.211 firmware which had a lot many bugs. 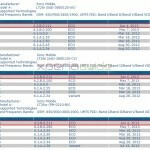 If you want to know what is there in next update then look at below link. 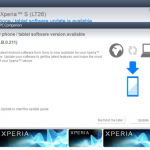 It is expected that new firmware will have build number as 6.2.B.1.96 . 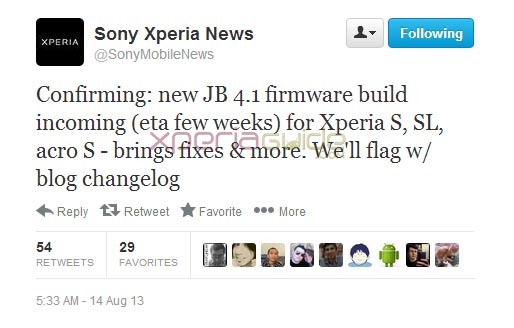 We expect that another update may arrive soon, may be by the end of August or in starting week of September. 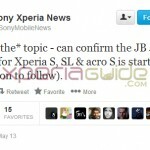 It’s a good news for all Xperia S, SL and Acro S users. 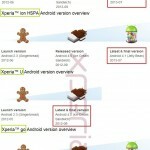 Yes, as a Xperia S owner I’m happy with these news. 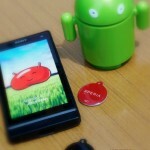 It’s a superb smartphone and it deserves being finely, flawlessly tuned. 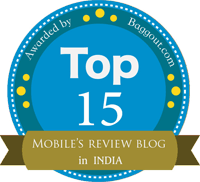 hey anurag do you the release date of the update ? 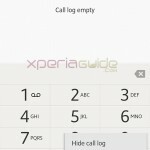 Is battery draining issue will be fix or not ?